As some of you will know, I was given a months trial of Juice Plus from Clare at Plus Your Life, to review honestly and openly. At the beginning I was a sceptic… I had heard so many stories that I knew were not true, about miracle cures and crazy weightloss etc. but my reason for giving it a go was always Clare’s honesty. She told me straight up that it wouldn’t cure diseases or make me lose a stone in a month but what she did say was that it could improve my sleeping pattern, help clear my skin and possibly give me an energy boost that I badly needed in my hectic lifestyle. She told me it was NOT a substitute for eating fruit and veg and that it should only be taken alongside a healthy diet. I gave it a go with an entirely open mind as I genuinely didn’t know what to expect. I am not going to say to you that I noticed any major effects within the month but what I will say is that I generally felt a lot better in myself. I had more energy and found myself wanting to eat more fruit and veg as it almost gave me a taste for them – this was a huge deal for me as my diet is generally really unhealthy. I found myself wanting to jump off the sofa and be more active rather than being fatigued and not wanting to move. I really hoped to notice an improvement in my sleeping pattern as this is one of my biggest problems and whilst I found myself having a few really good nights sleep, my schedule and workload were way too hectic for me to judge this area accordingly. One of the main improvements that I noticed was in my skin. I had less breakouts and definitely felt more comfortable being seen without my makeup and trust me, for me this was a miracle. They are also excellent at regulating the digestive system and bowel function! 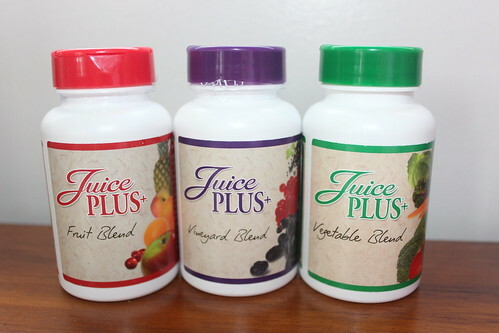 All in all I had a positive experience on Juice Plus. I do feel that in order to gain the extent of the benefits, that one should try it out for the 4 month period but my month trial really gave me an insight into the benefits that could be achieved. I am not selling this product, nor am I endorsing it in any way, simply reporting on my own personal experience. Do not believe a sales rep who tells you it will change your life over night but try to find someone like Clare – Down to earth, honest, up front and open to discussing her own personal experience. From that you can make your own choices and decisions. If you would like to speak with Clare for advice, add her on facebook – Plus Your Life and she will be more than happy to talk to you!